Conductive applies a vertically integrated approach to wire cable business, which has enabled us to become trusted experts and specialists of the field. 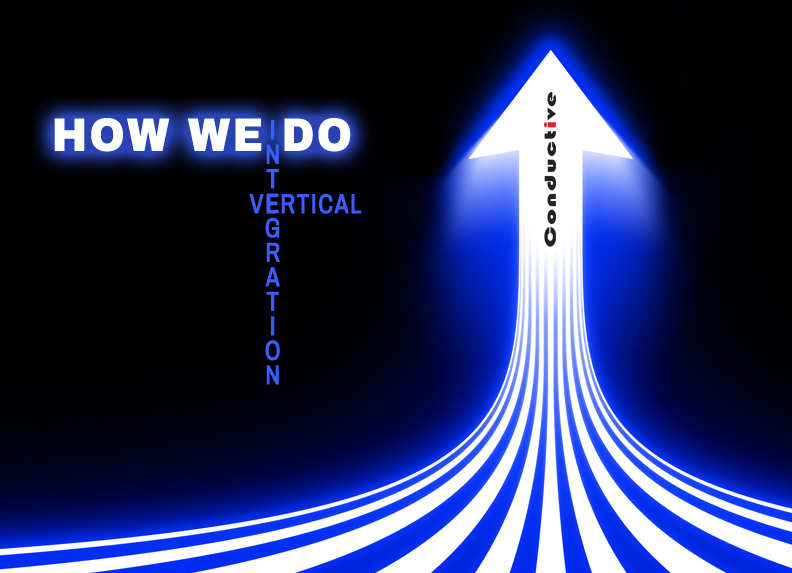 Vertical integration is a structure where a company controls more than one stage of production. Benefits of vertical integration include streamlined access to materials and minimized supply related risks. This supports the production line’s capacity in preparation for large quantities. Since materials and production are all in house, efficiency and quality control is an advantage compared to having various suppliers. This direct control over the production process provides vertically integrated companies the freedom to design customized products and expand product lines. How does Conductive do Vertical Integration? Conductive is known for our experienced technical skills in everything from design to development to customer service. Our capacities include working with our own raw materials in house, such as bare copper wire and polymers, which gives us several advantages. Production includes the entire process from extrusion through assembling the end product. Over the following months, we will be sharing about manufacturing wire cable from our vertically integrated process to introduce the flow of how wire cable is created. We will be starting off by going through the first stage of production: the extrusion process. Who’s Powering Your Power Tools? AWG… you hear this word a lot in our industry but Did You Know?